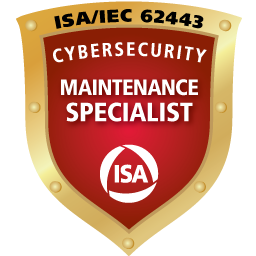 The third phase in the IACS Cybersecurity Lifecycle (defined in ISA 62443-1-1) focuses on the activities associated with the ongoing operations and maintenance of IACS cybersecurity. This involves network diagnostics and troubleshooting, security monitoring and incident response, and maintenance of cybersecurity countermeasures implemented in the Design & Implementation phase. This phase also includes security management of change, backup and recovery procedures and periodic cybersecurity audits. This course will provide students with the information and skills to detect and troubleshoot potential cybersecurity events as well as the skills to maintain the security level of an operating system throughout its lifecycle despite the challenges of an every changing threat environment.